Pune's local designers know what works best for clients from the city. At Amaaya studio, which is located in Pimpri-Chinchwad, it's all about making the bride and her friends look super girly and coy. Throughout their lookbook you'll find designs in pastel hues with pearl and other moti embroidery. 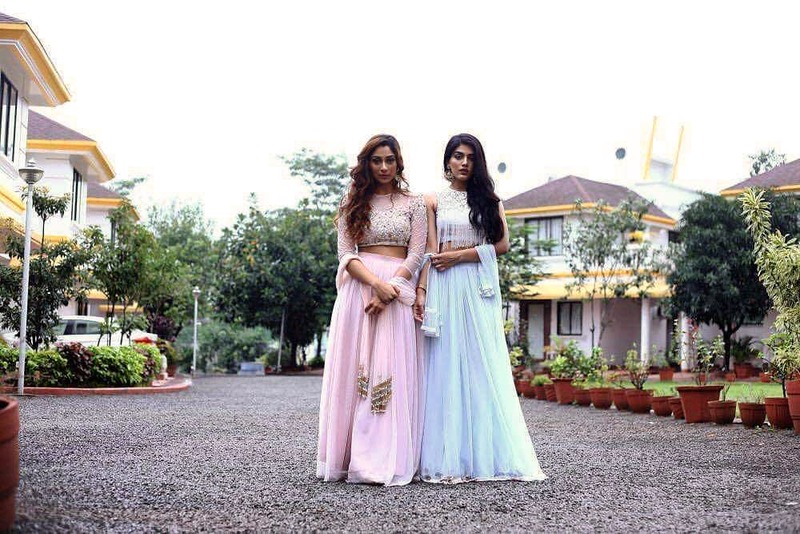 Cute designs like a mosaic-like embroidery for a saree's blouse, pearl hangings on the sleeve and a lot of use of mint, rose gold, and pastel pinks and blues dominate their ideas. And, we're not complaining! Whether you're looking for an ethnic pantsuit to look edgy in, a saree with ruffles, a lehenga with subtle sheer. When you can't decide what you'd look best in, leave it to the designers at the studio. Of course they also do bright colours if that's more your style. Show off your leg in a light, royal blue lehenga for a beach wedding. Or slip into a gown that'll make heads turn! Starting at INR 8,000 - 10,000, you can set a budget with the studio and get a bespoke outfit.